Our home care policies and procedures are state specific and customized by our home care consultants, then professionally designed and printed by one of the nations leading design firms. Other home care consultants print their policies on a standard office printer and do not spend the extra time or money to have their home care policies professionally edited by a third party. We are the only home care consultants who will provide your home care policies and procedures to you in Word format allowing you to make changes to your home care policies when necessary. Questions To Ask A Home Care Startup Consultant? Have You Developed & Operated Your Own Agencies? Have You Developed And Operated Your Own Agencies? Our team has been there. We know what it is like to go through the process of starting an agency from scratch, preparing for certification and accreditation, balancing expenses while we build our client base. 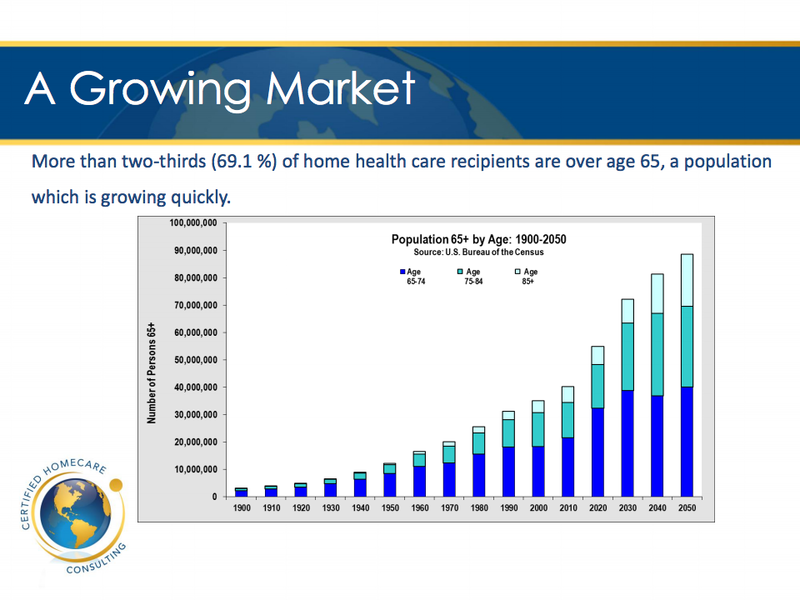 We have started and currently own home health care, home care, hospice, transportation, DME and GAFC agencies. There is no substitute for first hand experience, and we have it! What Makes Your Marketing Training Exceptional? Understanding your market and implementing an effective marketing plan is critical to building a successful business. CHC takes great pride in the fact that our Marketing Specialist has presented as a guest speaker at more than a few national home care association conferences in 2014 alone, and is renowned as one of the industry’s best. How Many Hours Of Training Videos Are Provided? In addition to individual training, video training offers the opportunity to learn at your own pace, and repeat as necessary. We provide nearly 19 hours of video training in over 30 different on-line videos to all of our home care and home health care clients. Our videos are current and have been produced by one of the most well known experts in the industry today. Do You Complete The Medicaid Waivers Process? Other consulting companies only offer guidance in completing the Medicaid Waivers process. We do it for you! It's one more way that CHC goes the extra mile to support you as you develop your agency. Most home care consultants do not have real world experience outside of their clinical staff, and this includes the home care consultants you see advertised in Google. They do not understand what it takes to be successful because they have never operated a successful home care agency. In addition to owning various healthcare agencies, all CHC employees have previous experience working in the healthcare industry.